Crazy Spring Flowers Only Kit designed by Janet Rae Nesbitt of One Sister from the book Absolutely Crazy, purchased separately. This quilt is made with the Crazy Spring Flower Blocks only and finishes about 62-1/2" square. Like most folks around the country this time of year, I'm wishing for a bit warmer weather as a wee bit of Spring Fever sets in! 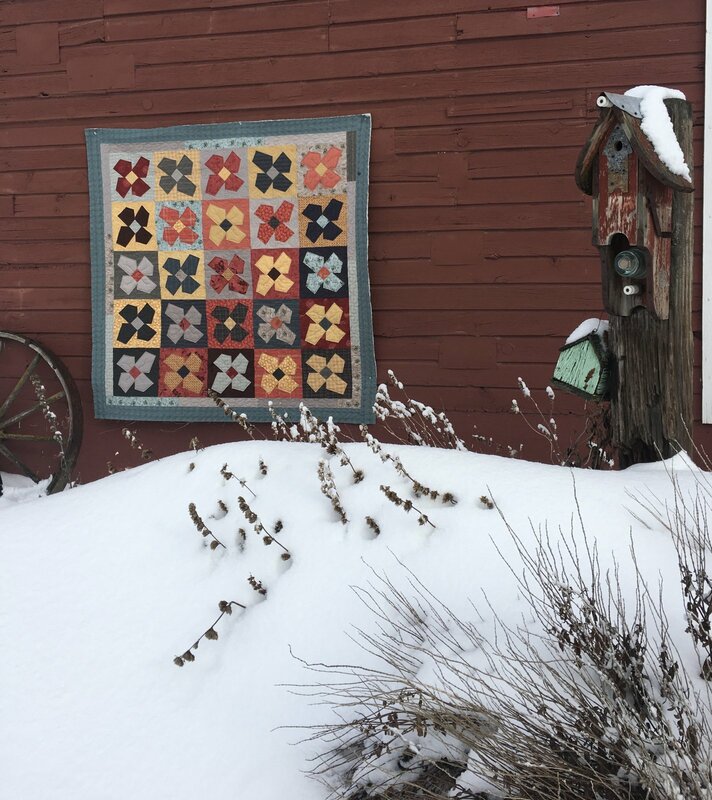 This little lap quilt will be warming my toes and cheering my heart until spring finally arrives! Inner scrappy border (cut 2") and binding is cut from leftover portion of the fat quarters after piecing the blocks and the kit includes the teal plaid outer border. Fabrics hand selected by Janet. See descriptions below for backing suggestions, 4 yards required.